A Wall St. sign next to the New York Stock Exchange (NYSE) September 16, 2008 in New York City. U.S. stocks continued to drop Tuesday morning for the second consecutive day, following yesterday's Dow Jones Industrial Average plunge of 4.4% or 504 points, being the worst single day loss since the terrorist attacks of September 2001. Today the Federal Reserve is scheduled to announce the target interest rates for the federal funds. It's not clear how the central bank will respond to recent turmoil in the world's financial markets. This comes after news of Merrill Lynch & Co. Inc selling itself to Bank of America Corp, the financial firm Lehman Brothers Holdings Inc. filing for Chapter 11 bankruptcy protection, and insurance giant American International Group Inc. (AIG) attempting to raise capital to stay afloat. The Senate Thursday voted in favor of ending debate on a sweeping packaging of financial reforms, clearing the way for a final vote on whether to approve the legislation as early as Friday. The Democrats mustered the 60-vote minimum needed to avoid a possible Republican filibuster, after falling three votes short Wednesday. Democrats control 58 seats and can usually count on the support of independent Bernie Sanders of Vermont. They typically need only one Republican to vote with them. In this case, three GOP senators voted with them, approving cloture. The Senate will now consider a few remaining amendments, which based on Senate rules must be considered germane to the overall bill. After that, and regardless of the outcome of any amendment votes, a final vote will be held. Approval is widely expected. The GOP members voting for cloture were: Susan Collins and Olympia Snowe of Maine, who voted in favor of cloture Wednesday; and the newly-elected Scott Brown of Massachusetts. Brown was expected to vote with the Democrats yesterday but changed his mind over lingering concerns about how some of the too-big-to-fail provisions might affect big mutual fund firms in his state, such as Fidelity. Since then, Brown was given "some assurances .... to get him back on board," said one senior Congressional staffer familiar with the conversations, adding that lawmakers did not see the fund firms as presenting a risk to the financial system. Another difference in the outcome was that Democrat Arlen Specter, who was absent for Wednesday's vote having remained in Pennsylvania following his primary defeat in Tuesday; voted yes along party lines. Democrats Maria Cantwell of Washington and Russell Feingold of Wisconsin, who broke with their party and voted no Wednesday, once again voted against cloture. Cantwell is said to be among the many members frustrated by the fact that only a small percentage of the 300 amendments filed have been debated and voted on. She has offered two amendments, but neither of which had been taken up. Once the Senate approves the legislation, the two chambers of Congress will have to agree on a compromise version. In some cases, that involves a so-called conference, where representatives of the two chamber hash out differences. One contentious issues will be derivatives regulation. The Senate version is generally tougher. One key, and fairly unpopular measure, crafted by Banking Committee Chairman Chris Dodd (D-Conn.) and Sen. Blanche Lincoln (D-Ark. ), chair of the Agriculture Committee—would force banks to create special subsidiaries for their swaps operations. There's been some effort to revise and water that down. A new compromise proposal spearheaded by Dodd would call for a two-year study to see if the restriction—which is not in the House version of the bill—is merited. But sources say even that is unlikely to make it into any compromise bill. House Financial Services Chairman Barney Frank told CNBC that he suspects"banks should be allowed to hedge their own financial risk," said Frank, who added his own efforts to write tough derivatives legislation were defeated in the House. Another key component—creating an over-the-counter trading and settlement system—has fairly wide support, but some would like a strong end-user exemption for companies that use derivatives as an operational hedge. The other big battleground is the creation of a powerfulregulator to protect consumers from potential abuse by financial services companies, especially in the area of mortgages. As proposed by Dodd, the Consumer Financial Protection Bureau would be an independent agency housed at the Federal Reserve with a presidentially appointed director, rule-making, examination and enforcement powers. One amendment, sponsored by Sam Brownback (R-Kansas), would exempt auto companies, an idea Dodd himself fiercely opposes. Senate Democrats have been trying to push through The Wall Street Reform Act for almost a month, despite a number of procedural obstacles possible only in the Senate, and thus catch up to the efforts of the House, which approved its version of financial reform late last year. Many of the provisions, from too-big-to-fail authority to new capital requirements, are meant to avoid the possible collapse and government bailout of big firms, as was the case with AIG , Citigroup and Bank of America in 2008. 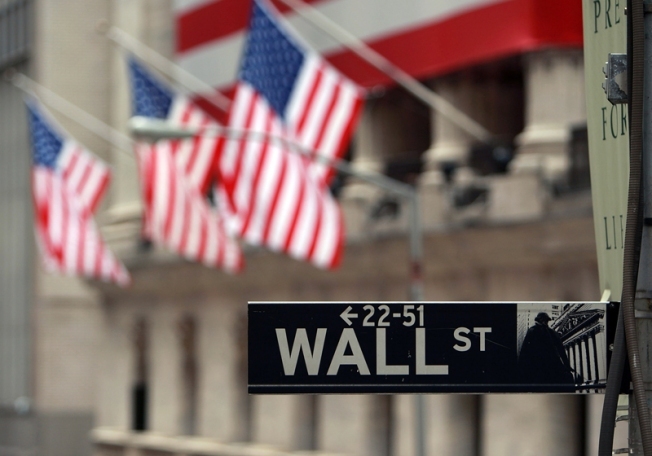 Some restrictions would also affect the two big remaining Wall Street firms, Goldman Sachs and Morgan Stanley . The president has made financial reform his top priority and said he wants to sign a bill into law by Memorial Day weekend. That is now very unlikely because once the Senate passes its version, a compromise version will have to be cobbled together with the House and then approved by both chambers. Rep. Frank told CNBC that a bill would be ready for the President to sign "well before the Fourth of July."